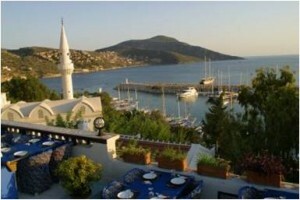 Kalkan is the undiscovered family holiday destination in the Antalya Province of Southern Turkey. Kalkan, which was once fishing town, is an ideal destination for families and couples, away from nightclubs and bars, where you can relax and unwind in beautiful surroundings. We offer holiday packages to Kalkan, staying at the friendly family run Hotel Dionysia, Diana Apartments and Villa Diana which are only a 5 minute walk from the centre of this picturesque Turquoise Coast seaside holiday resort. Additionally, we also offer a small selection of quality Private Villas & Apartments for rent.